What are the hidden dangers of using a smartphone? If your worst worry is someone snooping through your phone Smartphone Privacy Settings You Need To Activate Today Smartphone Privacy Settings You Need To Activate Today Smartphones ship with plenty of default settings that could be leaking your info. Let's dive in and tweak them. Read More , you may want to think again. 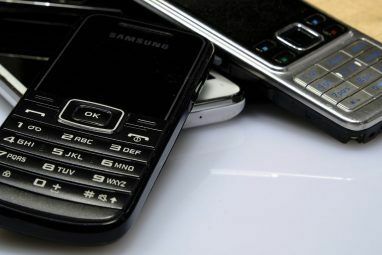 Smartphone technology is relatively young in the grand scheme of history, which means there are still several security flaws that have yet to be solved. With that being said, don’t go all paranoid yet! While everyone is certainly at risk when using a smartphone, that doesn’t mean everyone will become a victim. It is vital that you should be aware of these risks and be proactive as far as keeping yourself protected. So, how many security vulnerabilities are there for smartphones? Let’s take a look at some of the worst offenders. There’s no doubt that the Internet’s explosion in popularity was one of the chief milestones in human history. Sure, the Internet has been a vehicle for some truly heinous acts 5 Life-Ruining Ways You Can Be Victimized Online 5 Life-Ruining Ways You Can Be Victimized Online The Internet is not as anonymous as you might think it is. If somebody wants to find out who you are and where you live, the tiniest bit of information can lead back to you... Read More , but many good things have come from it as well. Unfortunately, there are downsides to being part of a 24/7 global network. For one, data is no longer anchored to a given physical location. There was a time when files had to be transferred using a tangible medium, e.g. a floppy disk or USB thumb drive. Today, data is freely sent and retrieved over the air. Data is more easily intercepted nowadays, which means a greater reliance on secure communication protocols. While smartphone encryption methods How To Encrypt Data on Your Smartphone How To Encrypt Data on Your Smartphone With the Prism-Verizon scandal, what allegedly has been happening is that the United States of America's National Security Agency (NSA) has been data mining. That is, they have been going through the call records of... Read More already exist, the problem is that people don’t care enough to encrypt their communications. They fall victim to “It Won’t Happen To Me” syndrome Change Your Bad Habits & Your Data Will Be More Secure Change Your Bad Habits & Your Data Will Be More Secure Read More . Not so long ago vulnerabilities were revealed in SS7, the international network that telecom companies use to transmit calls, texts, etc. These vulnerabilities, when exploited, make it possible to listen in on any calls and track the location of any user. Since the protocols were developed back in the 1970s, it’s not hard to see how they could be riddled with security holes. Complex global systems like SS7 will always be open to overlooked security flaws. But newer technologies aren’t any safer. The NFC protocol — which allows modern smartphones to transfer data with a physical “bump” — can be intercepted Using NFC? 3 Security Risks To Be Aware Of Using NFC? 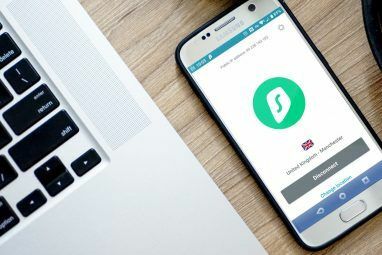 3 Security Risks To Be Aware Of NFC, which stands for near-field communication, is the next evolution and is already a core feature in some of the newer smartphone models like the Nexus 4 and Samsung Galaxy S4. But as with all... Read More . In fact, NFC leaves your smartphone open to a drive-by attack How Does A Drive-By NFC Hack Work? How Does A Drive-By NFC Hack Work? Read More . RFID chips, which are like modernized wireless barcodes, can be hacked RFID Can Be Hacked: Here's How, & What You Can Do To Stay Safe RFID Can Be Hacked: Here's How, & What You Can Do To Stay Safe How much do you know about RFID chips? Do you know how many you're carrying at any given moment? Do you know what information is stored on them? Do you know how close a hacker... Read More . Secure connections are important for mitigating these kinds of protocol weaknesses and keeping your data protected against snoopers. That’s the key to safety when partaking in data-risky activities like unsafe mobile banking 5 Vital Security Tips For Smarter Smartphone Banking 5 Vital Security Tips For Smarter Smartphone Banking As smartphones have become more capable, many people have begun to use them as a banking tool, and logging in to a bank account on-the-go is much easier and quicker via mobile data than any... Read More . The common joke is that only Windows users need to worry about viruses, but the truth is that every operating system has its risks 4 Cyber Security Myths That Must Die 4 Cyber Security Myths That Must Die Read More and smartphones aren’t exempt. Android, iOS, Windows Phone — none of them are bulletproof. 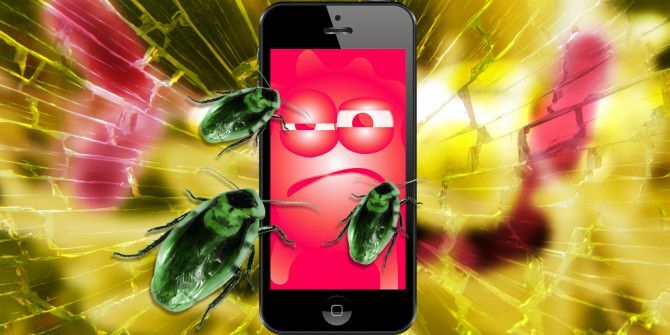 Yes, that’s right: iPhones can get viruses Smartphone Security: Can iPhones Get Malware? Smartphone Security: Can iPhones Get Malware? Malware affecting "thousands" of iPhones can steal App Store credentials, but the majority of iOS users are perfectly safe – so what's the deal with iOS and rogue software? Read More ! In fact, according to the National Vulnerability Database and the data in Common Vulnerabilities and Exposures of 2013, over 200 vulnerabilities were found in iOS, giving it 81 percent market share of all smartphone vulnerabilities. That’s more than Android, Windows Phone, and Blackberry combined. Don’t get me wrong: that’s not a cheap shot at Apple. The point is that every smartphone ecosystem has its problems. None are exempt no matter what anyone tells you. Earlier this year, a new security flaw surfaced that affected over 90 percent of all smartphones in the world. This problem — which stemmed from a particular industry standard shared by iOS, Android, and Blackberry devices — made it possible for remote hackers to access data, erase data, or upload malicious data. This is just one of many truths concerning smartphone security What You Really Need To Know About Smartphone Security What You Really Need To Know About Smartphone Security Read More . Viruses can come from anywhere, including various app stores where you might end up accidentally downloading scam apps Scam Apps in the Play Store You Need to Avoid Scam Apps in the Play Store You Need to Avoid For every amazing app you can find on Android, there's a cheap knockoff waiting to waste your time and steal your money. Read More . Downplay the impact of malware at your own peril. Here are some warning signs that you have malware Has Your Android Phone Been Infected with Malware? Has Your Android Phone Been Infected with Malware? How does malware get on an Android device? After all, most users only install apps through the Play Store, and Google keeps a tight watch over that to make sure malware doesn't squeeze through, right?... Read More along with how you can keep yourself protected. Don’t fall into the trap of thinking you’ll never catch malware. You owe it to yourself to stay as secure as you can. Earlier this year, Apple fell under the spotlight when a security researcher discovered an iOS security backdoor Apple Is Spying On You, Facebook Launches Pocket Rival, And More... [Tech News Digest] Apple Is Spying On You, Facebook Launches Pocket Rival, And More... [Tech News Digest] Netflix hits 50 million subscribers despite price hike, Windows 9 Start menu is revealed, the Dota 2 gamers worth a cool $5 million, a sidewalk lane just for smartphone users, and the first trailer for... Read More . The claim was that Apple had purposely left a hole that made it possible to pull encrypted data on demand from any iOS device. When confronted, Apple surprisingly confirmed that the backdoor existed. A security backdoor is a hole that’s purposely left in an otherwise secure system that makes it easy for anyone who knows about the backdoor to bypass whatever security measures are in place. How many backdoors does your phone have? According to some research at North Carolina State University, ten Android models from Samsung, HTC, LG, Sony, and Google were analyzed for security vulnerabilities. Of all the vulnerabilities they found, 60 percent came from apps preloaded by the manufacturers themselves. To be clear, not all of those preloaded apps were intended as security backdoors; many of them were innocent tools that happened to be insecure. But it does leave us with an interesting question: how much can we trust smartphone manufacturers, anyway? The future looks pretty bleak, especially with the FBI asking Congress to force the inclusion of backdoors. This isn’t an exhaustive list of flaws. There are several other smartphone security risks 4 Smartphone Security Risks To Be Aware Of 4 Smartphone Security Risks To Be Aware Of There seems to be a sort of general malaise among users – the tech savvy and everyday users alike – that because your computer fits in your pocket, it can’t be infected by malware, Trojans,... Read More worth familiarizing yourself with, including Wi-Fi insecurity, location triangulation, and SMS phishing. The smartphone is not a secure device. The best thing to do is reform your security habits. 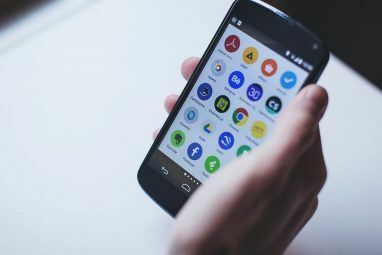 Avoid making these critical smartphone mistakes Ten Common Smartphone Mistakes That Expose You To Security Risks Ten Common Smartphone Mistakes That Expose You To Security Risks The following is a run-down of ten of the most common smartphone mistakes. Read More and you’ll find that your device to be more secure than it ever was. Do you trust smartphones? What’s the worst security incident you’ve had to deal with? Share your stories with us in the comments below! how can i download this tutorial in pdf format? There's no built-in quick way to download our articles as PDF, but like Leanne mentioned, there are third-party tools that can "print" websites into PDF format. Sorry for the inconvenience. You may find the difficulty finding information is where you are looking. I don't know that there are many traditional magazines that thoroughly deal with this type of information as they once did... There is loads of information, in fact there is too much information and there becomes a problem in wading through quantity in order to get to the quality. That Thunderbolt rootkit sounds like a nightmare! If one good thing comes out of it, let it be that people start learning how to stay secure and protected instead of relying on the "impenetrability" of Mac, Linux, or whatever other myths that get circulated.